For two days on 30-31 January, the 6th annual ECOSOC Youth Forum brought together young leaders, government representatives, and civil society organizations at United Nations Headquarters in New York. The ECOSOC Youth Forum represents the largest annual convening at the United Nations focused on youth development and engagement and is a critical juncture for reviewing progress in achieving the Sustainable Development Goals, both by and for young people. This 6th ECOSOC Youth Forum convened under the theme “The role of youth in poverty eradication and promoting prosperity in a changing world”, aligned with the overarching theme of the 2017 High Level Political Forum which is scheduled to take place in July 2017. See below ten highlights from the 2017 ECOSOC Youth Forum! This year saw the largest ever ECOSOC Youth Forum which provided a platform for young people to engage in a dialogue with Member States, share best practices on youth development and contribute to policy discussions on youth development in the 2030 Agenda. Some 900 participants attended this year’s two-day ECOSOC Youth Forum, held under the auspices of the President of ECOSOC and organized by UN DESA and the Office of the Secretary-General’s Envoy on Youth in partnership with the UN Inter-Agency Network on Youth Development, in particular its Working Group on Youth and SDGs. The continuous growth of the level of engagement of the Forum over the past years is reflective of the important need for a regular global convening and multi-stakeholder dialogue on youth issues that the Forum responds to. The Forum’s discussions will contribute to ECOSOC’s High-level Segment, including the 2017 High-level Political Forum (HLPF) – the central UN platform for the follow-up and review of the 2030 Agenda. With 129 Member States of the United Nations participating, including many at the level of Ministers, Deputy Ministers, and the highest authorities on youth, this year’s ECOSOC Youth Forum featured the largest high-level ministerial attendance of any ECOSOC Youth Forum. With the largest number of delegations from capitals (51) since the inception of the Forum six years ago and highest level national authorities on youth, including Ministers (28), we witnessed how the Forum offered a critical platform for Member States, young people and other key stakeholders to dialogue how youth can be involved in the implementation as well as the follow up and review of the 2030 Agenda. The high-level participation of ministers of government from around the world allowed for two interactive roundtable discussions that covered the role of youth in poverty eradication and promoting prosperity, as well as financing for youth development and the means of implementation regarding the 2030 Agenda. We heard about Member States’ efforts to mainstream youth issues and priorities into national SDG implementation strategies and plans, and discussed good practices and lessons learned both in engaging young people in the implementation of the 2030 Agenda for Sustainable Development as well as in ensuring a diverse range of measures, including financial measures, are in place to support these efforts. This year’s ECOSOC Youth Forum featured a wide diversity of youth participants, including the largest number of youth delegates ever, in addition to representatives of youth-led and youth-focused networks, including ICMYO (International Coordination Meeting of Youth Organizations) affiliated organizations, and the Major Group for Children and Youth (MGCY), youth nominated through UN Country Teams, and the Young Leaders for SDGs. Through ICMYO and MGCY, and facilitated by the Interagency Working Group on Youth and SDGs, youth were engaged in all the preparations of the Forum, including the development of the Forum’s programme, the identification of young speakers, and in the preparation of all plenary and breakout sessions. In addition, throughout the Forum young people were front and center, sharing their experiences and perspectives in each of the plenary and breakout sessions, participating in the SDG Media Zone, and engaging in the numerous side-events. While recognizing that today’s youth are the most interconnected generation the world has ever seen, the Forum also discussed the fact that many young people continue to lack access to basic technology such as a reliable Internet connection, which significantly limits youth development. The second ministerial Roundtable focused squarely on the joint issues of Means of Implementation and Financing for Youth Development. The session provided an opportunity for Member States and youth representatives to have a candid discussion to review progress to date with implementing youth-related commitments contained in the Addis Ababa Action Agenda and the measures needed to advance youth development at all level. The Roundtable discussions highlighted success stories to date as well as the challenges that remain. In particular, the lack of consistent and reliable funding for youth development was raised by both member states and civil society. Stakeholders also shared best practices on how financing for youth development has been facilitated in the implementation of the national plans designed to achieve the SDGs and several Member States spoke to how they plan to integrate youth development into their National Voluntary Reviews during the High Level Political Forum. Other critical Means of Implementation that were discussed included the need for quality, timely and regular youth-focused data in order to track progress over time, the need for stronger policy and institutional coordination and coherence for the effective promotion and implementation of national youth strategies, and the need for continuous capacity building and knowledge transfer. This year, for the first time at the ECOSOC Youth Forum, there was a dedicated SDG Media Zone – an interactive space where participants of the ECOSOC Youth Forum, special guests, journalists and bloggers engaged in discussions around the themes of the forum and showcased their experiences in engaging youth in the SDGs, allowing for online engagement from viewers around the world on some of the key issues most pertinent to young people. From peacebuilding to electoral empowerment, creating decent jobs for youth to fighting inequality, the SDG Media Zone proved to be an important and impactful space in giving young people and key stakeholders a platform to share experiences and have frank discussions on the margins of the official sessions. In advance of this July’s High-level Political Forum (HLPF) that is the central UN platform for the follow-up and review of the 2030 Agenda and will this year include an in-depth review of SDGs 1, 2, 3, 5, 9, 14, and 17, the first series of the Forum’s Breakout Sessions were correlated with thematic areas of policy directly linked to the goals under review. These Breakout Sessions gave member states, young people and civil society a space to dive deeper into pertinent policy topics and engage in hands on policy discussions with a range of stakeholders. Young people from each of the regions respectively engaged substantively in the discussions that focused on the unique regional dimensions of challenges and opportunities for youth development and engagement, with the results being reported back in plenary at the end of each day. Furthermore, the ECOSOC Youth Forum App provided an additional platform for continued discussion on the topics at hand. The outcomes of these sessions could also support regional implementation of the SDGs. This year for the first time at the Forum, we partnered with Unleesh to provide a mobile App offering a collaborative platform for attendees joining the Forum. The user-friendly App featured information on the Forum’s programme and allowed attendees to share their key takeaways, respond to polls, and give feedback on the various sessions and speeches. In addition, the App provided an opportunity to conduct live polls with the audience during the Ministerial Roundtables on the topics being discussed. 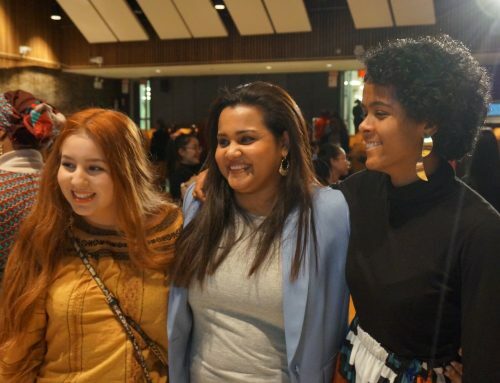 This year’s ECOSOC Youth Forum furthermore saw a record number of side events on topics from youth mentoring, to francophone youth, to social innovations, to youth and urbanization, and many more. The Office of the Secretary-General’s Envoy on Youth co-organized two events: one on the Not Too Young To Run campaign and another that focused on the role of youth engagement in SDG monitoring in general, and in the National Voluntary Reviews in particular. IPU #YoungMPs Saeed Al Remeithi, UAE, Rania Elwani, Egypt, and Raphael Igbokwe, Nigeria joined Paddy Torney on stage earlier in the forum at the SDG Media Zone to discuss their experiences in running for office and the barriers they faced. The side event on youth engagement in SDG monitoring and the National Voluntary Reviews that Member States report to the High Level Political Forum, was co-organized by the Permanent Mission of the Netherlands, the Major Group for Children and Youth and the Office of the Secretary-General’s Envoy on Youth. The event offered an opportunity to discuss practical ways on the issue of how young people at national, regional and global levels can be engaged in the Follow Up and Review process of the SDGs, including the national voluntary reviews for Agenda 2030 at the HLPF. Special Adviser to the Secretary-General’s Envoy on Youth, Ms. Saskia Schellekens, addressed the audience and reflected upon the need to both ensure youth engagement as well as a thorough reflection on the progress made in youth development in the context of the 2030 Agenda, and presented the work the Envoy’s Office is undertaking with UNDP and UNFPA to establish an instrument that will allow for tracking the global SDG indicators with regards to youth development and well-being. Check out the website of NotTooYoungToRun.org and get involved. This ECOSOC Youth Forum also marked Mr. Ahmad Alhendawi’s final Youth Forum as the Secretary-General’s Envoy on Youth, a post he held since January 2013. In his closing remarks at the ECOSOC Youth Forum, Mr. Alhendawi as the outgoing Secretary-General’s Envoy on Youth looked forward at what the UN can do better to continue to advance the youth agenda. Amongst other efforts he called for a reconsideration of the now more than twenty-year old World Programme Action on Youth (WPAY), saying, “It just doesn’t speak to the realities and the needs of young people today.” Alhendawi also spoke about the “invisible goal” of youth development within the Sustainable Development Goals and the need for support of reporting on youth development related indicators. Talking about the Office of the Secretary-General’s Envoy on Youth, Alhendawi spoke to the need for continued investment in supporting and strengthening existing infrastructures and the organization of youth work at the UN. 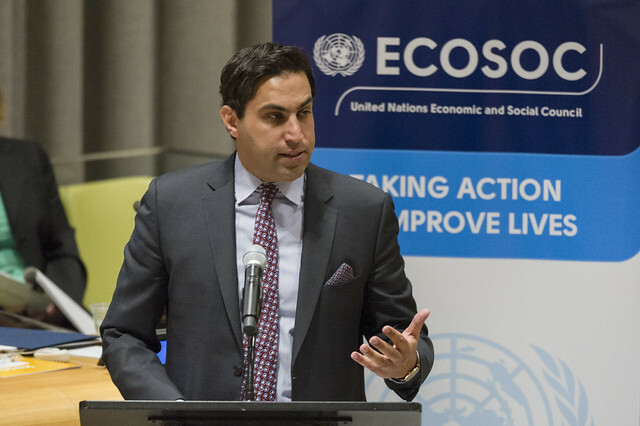 Regarding the ECOSOC Youth Forum, Alhendawi called for the consideration of formalizing the meeting as a way to advance the much-needed dialogue between Member States and other stakeholders in the youth sector, to which the large and ever-growing number of participants, including Member States attending at the highest level of authority for youth and other participants attest to. Finally, the Secretary-General’s Envoy on Youth recommended further financial investment in youth in a possible global fund for youth development and peace. Leading into the High-level Political Forum in July 2017, the ECOSOC Youth Forum served as a platform for youth inclusion in the implementation and review process of the 2030 Agenda. In addition, wrapping up the 2017 ECOSOC Youth Forum the President of ECOSOC issued a statement acknowledging how young people have engaged with the 2030 Agenda for Sustainable Development and its implementation. The President of ECOSOC’s statement and the summary report of the Forum that will be prepared, will serve as an input to the forthcoming High Level Political Forum. 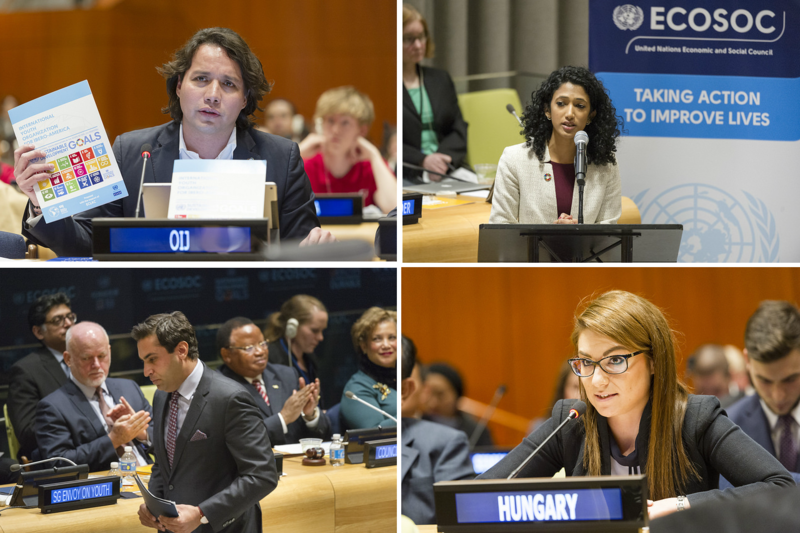 The 6th ECOSOC Youth Forum saw the expressions of appreciation for the Ministerial Declaration that resulted from the 2016 High Level Political Forum, the first such Forum since the adoption of the 2030 Agenda, that highlighted the important contributions made by the ECOSOC Youth Forum and hopes that the Forum will continue to strengthen its linkages with the Forum, and more broadly the Follow Up and Review processes for the 2030 Agenda.